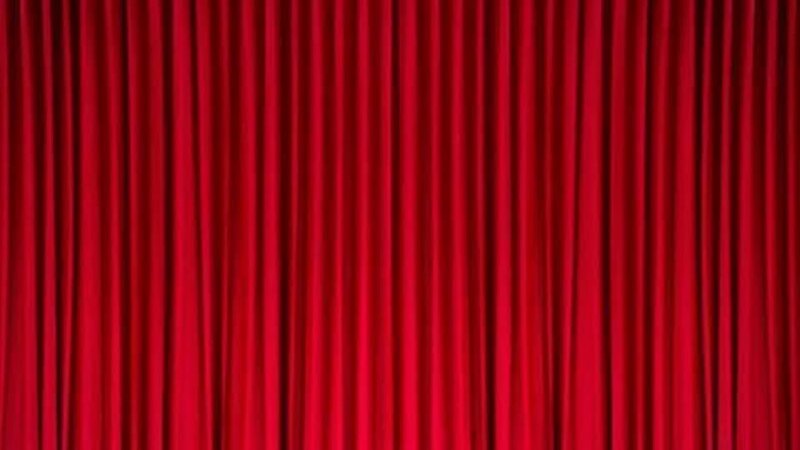 We hope that you enjoy reading this edition of our 'Spotlight on' series, designed to give an insight into our approach to teaching and learning in a particular subject. Our 'Spotlight on Science' provides information about our approach to teaching and learning in science as well as news from our Science Week. To read the 'Spotlight on Science' below, please click on the bottom right hand square to enlarge the publication to a full size screen and click on the arrows to scroll through the pages. The gallery below showcases Science work in action at Copley Junior. In their project 'Scrumdiddlyumptious', children in Year 3 identified that animals, including humans, need the right types and amount of nutrition and they learned about the principles of a healthy diet. In their design technology work, children designed and created their own healthy fruit smoothies and flatbreads with different flavourings. Children also designed posters and cartons to advertise their fruit smoothies. The Scrumdiddlyumptious cafe was then opened for parents and relatives to purchase and sample the delicious products. To launch their project on 'Predators', Year 3 have visited the Yorkshire Wildlife Park as the children learned about food chains, identifying predators and prey. In their science lessons children identified that humans and some other animals have skeletons and muscles for support, protection and movement. Children learned about how fossils are formed when things that have lived are trapped within rock. In their design technology work, children made their own 'fossils' and created their own fossilised dinosaur skeleton! Children also identified and described the functions of different parts of flowering plants and explored the part that flowers play in the life cycle of flowering plants, including pollination, seed formation and seed dispersal. In their science project on 'Light', Year 3 found out about reflection, refraction and how light travels in straight lines. The children applied their understanding of how shadows are formed when the light from a light source is blocked by a solid object to create a shadow puppet theatre show. They wrote their own play scripts based on a children’s fairy tale, made the different characters for each scene, built their puppet theatre ‘stage’ and then performed their shadow puppet shows to the class. The children thoroughly enjoyed performing their shows! As part of their 'Flow' project, children identified the part played by evaporation and condensation in the water cycle and considered how temperature affects the rate of evaporation. 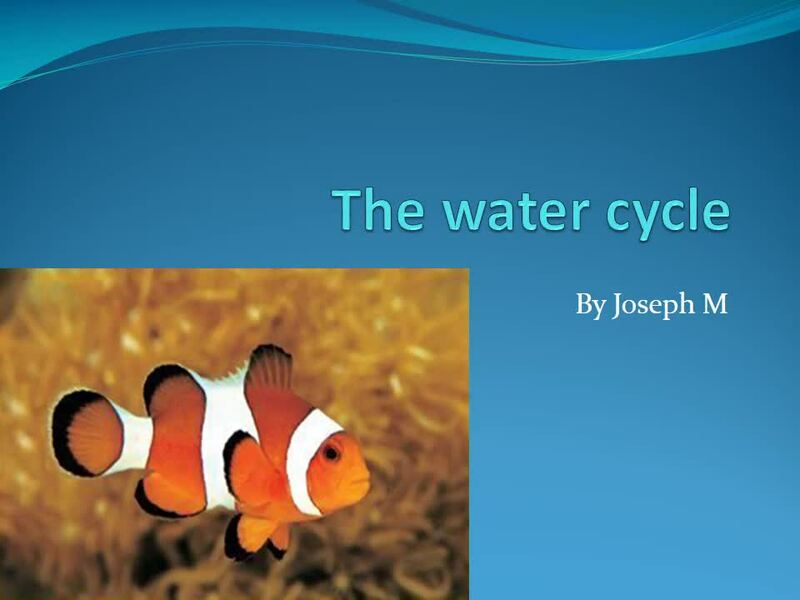 Children designed posters and created PowerPoint presentations to demonstrate their understanding of the water cycle. Children in Year 3 looked closely at different soils, classifying them into their specific types. Children set up a simple enquiry to find out which water sample was the cleanest; they observed carefully, used dataloggers and an opalometer to take accurate measurements, recorded data in a table and used their results to draw a conclusion. Year 3 compared and grouped together different kinds of rocks on the basis of their appearance and simple physical properties. To launch their creative learning project on 'Mighty Metals', Year 3 visited Magna. As well as a tour of the different learning areas, the children took part in a workshop to investigate metals and magnets. Children in Year 3 planned and carried out an investigation into friction. As part of their project homework, children could choose to research different metals and then to share this with the class in a PowerPoint presentation. 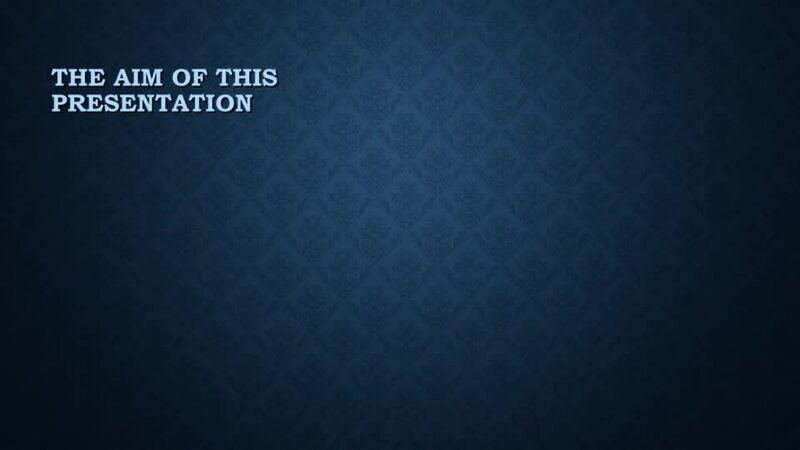 Click 'play' below to view one of the Year 3 presentations. During their 'Electricity' project, Year 4 designed posters to provide safety advice. Year 4 launched their 'Potions' science-based project on materials with a visit from a qualified aromatherapist. The children were fascinated to learn how much science is involved in the job of an aromatherapist as they blend essential oils (the pure essence from plants) to make products to support people's health and wellbeing. The children then put their new skills to use by making bath salts and a chocolate face mask! Year 4 investigated the viscosity of different liquids such as lemonade, washing up liquid and tomato ketchup. They also learned all about solids, liquids and gases, making scientific predictions that resulted in much debate about whether certain materials should be classed as solids or liquids due to their specific properties. Children set up their practical enquiry, considered fair testing, made systematic and careful observations, took accurate measurements, recorded their findings using simple scientific language and tables and used their results to draw conclusions. Children learned about the properties of liquids, solids and gases using visual and physical representations to show that particles are tightly and uniformly packed in solids, are able to move more freely in liquids (this is why liquids can take the shape of any container they are poured into) and that particles are further apart in gases and occupy all the space available. Children in Year 4 learned about sublimation (this is when a solid turns into a gas without going through the liquid phase), as you can see from the dry ice experiments below. The pupils learned that water changes state from being a liquid to solid ice at 0°C whereas dry ice, the solid frozen form of carbon dioxide, has a surface temperature of -78.5°C! Children used their knowledge about how some materials change when they are heated or cooled and worked very hard in their company teams to make a range of bath products including bath salts, lip balms and body oils, beautiful packaging and very persuasive leaflets and posters. We certainly have some budding entrepreneurs and persuasive sales people in Year 4. Following the express event, children were busy counting the money and working out their costs and profits - of £393! As part of their project 'Misty Mountain Sierra', Year 4 predicted how the temperature of iced, hand-hot and room temperature water would change over time and made systematic observations, taking accurate thermometer readings and then recording their results on a line graph. We were delighted to welcome Polar and STEM Ambassador Ricky Munday into school to lead an inspirational session on Antarctic research, scientific operations and his successful ascent of Everest. Ricky's motivational talk captivated the children as he shared the many perils of his expedition, shared photographs and brought along a selection of polar and high altitude mountaineering clothing and equipment. The children were inspired by the key themes of perseverance, resilience, goal-setting and overcoming adversity. The children's interest and enthusiasm was incredible, and they had so many questions to ask afterwards! Year 4 are really good at brushing their teeth and the disclosing tablets enabled children to see this. Children identified the different types of teeth in humans and their simple functions. They soaked eggs in different liquids for a number of days to investigate how the acidity of different liquids affected the shells and related this to the effect that different liquids have on our teeth. To launch their 'Stargazers' project Year 5 took part in a rigorous programme of astronaut training. Life onboard a shuttle cannot be compared to life on Earth. So many simple tasks that we complete on Earth have to be carefully considered before completing without gravity in the confined space of the shuttle. How do you brush your teeth in space? Year 5 know the answer! During training, children undertook a series of activities designed to enhance their response time, their core strength and prepare them for life aboard the Copley Shuttle. Speed of Light: Using rulers and stopwatches, pupils put their reflexes to the test and investigated factors which enhanced their performance. Would they be quick enough to dodge a speeding meteor? Crew Assembly: Living in space for months at a time in such a confined space means that your teamwork skills are really put to the test! Wearing oversized gloves to simulate an astronaut’s protective outerwear, pupils worked together to construct and deconstruct vital shuttle components. It was trickier than they expected but they used their communication skills and successfully completed the task. Spacewalk: Qualified astronauts demonstrated ‘bear-crawling’ and ‘crab-walking’ and explained the importance of body strength when in space. The days are long and the equipment is heavy. Without gravity, our muscles begin to waste and our bones become weak. Astronauts must train regularly and maintain optimum fitness to guarantee their safety in space. Pupils practised navigating complex courses using the bear-crawl and crab-walk to strengthen their core and prepare them for their great adventure. After completing the training programme, pupils designed their own mission badge using Tim Peake’s badge for inspiration. They created wonderful designs which they will be able to display on their spacesuits later in the term. Well done Year 5! Year 5 then made Copley Junior School's latest voyage to the National Space Centre in Leicester. What a fantastic venue! The children toured the galleries, which were full of interactive and engaging exhibits, and they also enjoyed a mesmerising planetarium show. The visit really helped to consolidate children's learning about Space, helping them to collect vital information which was used to support their writing of non-chronological reports about the Solar System. The whole day led to extremely engaging conversations in the classroom! Click on the first picture below to view a photograph selection from the visit. In their science project 'Stargazers' children described the movement of Earth, and other planets, relative to the Sun in the solar system. They described the movement of the Moon relative to the Earth and that the Sun, Earth and Moon are approximately spherical bodies. Children used the idea of the Earth's rotation to explain day and night and the apparent movement of the sun across the sky. In their study of forces, children explained that unsupported objects fall towards the Earth because of the forces of gravity acting between the Earth and the falling object and identified the effects of air resistance, water resistance and friction that act between moving surfaces. Children used their maths skills to work out the scale of our solar system in order to produce this to scale diagram below! In the science investigation below, Year 5 investigated which material would be the most effective for creating an astronaut's space suit. In their scientific study of forces, Year 5 used newton meters to measure forces. Children investigated that the bigger the force applied, the longer the spring stretches and the higher the reading is. As part of their 'Time Traveller' project, Year 5 described the changes as humans develop to old age. Children researched the stages of gestation in humans using photographs, books and laptops and then presented their information in written reports. They then compared human gestation with that of various animals. Year 5 also designed posters to present information about the importance of hygiene to help keep our bodies healthy. Year 5's visit to the Tropical Butterfly House launched their 'Beast Creator' science project on minibeasts. Back at school children learned about the life cycle of a butterfly and how to classify minibeasts according to common observable characteristics and based on similarities and differences. They then designed their own classification keys. Children then constructed and interpreted a variety of food chains, identifying producers, predators and prey. Children investigated micro-habitats within the school environment and recorded their findings in tables. Year 5 planned an investigation to find out how many worms are living in our school field! After deciding what observations to make, the children gathered and recorded their results and drew conclusions from their data and observations. Year 5 created their own imaginary creatures, devising their life cycle and then writing fascinating non-chronological reports about them. Year 5 shared their learning about minibeasts at their parent express. Parents/carers and relatives were treated to a drama presentation, in which each group of minibeasts tried to persuade the audience of their superiority to other minibeasts. After sharing how worms, spiders, bees, butterflies and spiders all support the wonderful world of nature, parents took part in a secret ballot to see which group of minibeasts ruled the day. Please click on the carousel images below to browse through our photographs. To read some of the parent/carer and relative comments following our 'Beast Creator' express, please click here. To launch their creative learning project, 'Alchemy Island', Year 5 observed and tested environmental samples from unknown locations across Alchemy Island. Children carried out many observations to compare and group everyday materials on the basis of their properties, including their hardness, solubility, transparency, conductivity (electrical and thermal) and response to magnets. Children carried out a wide range of tests to demonstrate that dissolving, mixing and changes of state may be reversible changes. 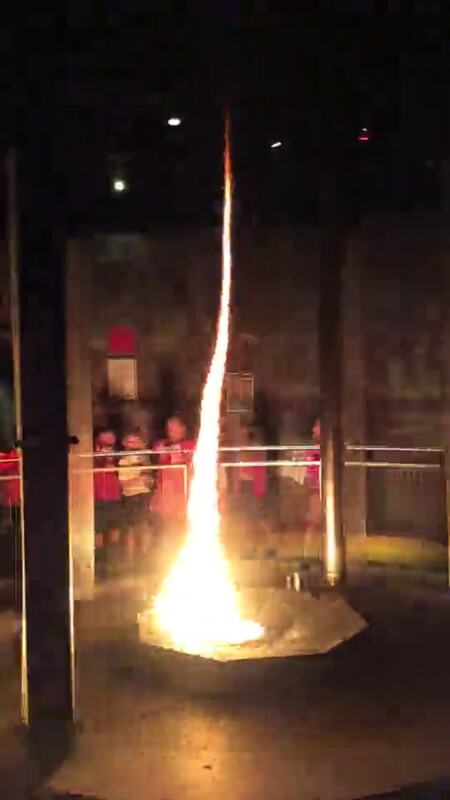 Children also explained that some changes result in the formation of new materials, and that this kind of change is usually not reversible, including changes associated with burning and the action of acid on bicarbonate of soda. Year 5 researched facts about solids, liquids and gases, and changes of state, and decided how to present their learning. Children conducted an investigation to find out how different liquids can float on top of one another. They discovered that liquids with a higher density will sink below liquids with a lower density. Year 5 took part in practical investigations to learn about the methods that can be used to separate materials including filtering, sieving and evaporating. Year 5 were given a challenge to separate some materials using their knowledge about filtering, sieving and evaporation. Children were given a range of equipment and their first challenge was to decide what equipment they would use for each task, what method they would use and to predict what they thought would happen. After carrying out their investigations children reflected on 'exit cards', where they thought about what they had learned, which scientific enquiry skills they had used and whether they would refine their approach in future in the light of what they had learned. Year 5 worked in pairs to investigate how solutes dissolve in a solvent to form a solution and how this process can be reversed, before discussing how they could refine their methods to ensure a fair test. Children identified and named the main parts of the human circulatory system and identified the functions of the heart, blood vessels and blood. They also carried out research using text books and primary websites to identify the impact of diet, exercise, drugs and lifestyle on the way our bodies function before deciding how to present their explanations and findings in written accounts. Children researched the circulatory systems of other animals also - click here to see an example. The children carried out investigations to test how exercise affects the heart rate and they created graphs of their results. The children used their knowledge about exercise and a healthy diet to produce exercise and diet plans. An ambitious home learning project in Year 6 - a diagram of the heart of a blue whale drawn to scale! Children researched information about famous surgeons, fascinating facts about animal hearts and designed healthy menus for a healthy heart. To launch their 'Frozen Kingdom' learning project, Year 6 visited the Yorkshire Wildlife Park to identify how animals and plants are adapted to suit their environment in different ways. They took part in an investigation workshop that helped children to consider that adaptation may lead to evolution. Children planned an enquiry, including recognising and controlling variables, recorded data using tables and then reported the findings from their enquiry, including oral explanations of the results and their conclusions. After meeting the polar bears at the Yorkshire Wildlife Park, children identified how polar bears are adapted to suit their environment. Year 6 also researched and then presented information about the science behind the Northern Lights. Year 6 developed their 'working scientifically' skills when carrying out an investigation to find out which material is the best at insulating a cup in order to keep tea warm for the longest period of time. Children recognised and controlled variables, decided what observations and measurements to make and what equipment to use, took measurements and from their data and observations they drew valid conclusions. Children were asked to work with their group to decide how to present their results. In the example below, results were presented as a line graph. Year 6 then had a cracking time investigating how different materials are able to absorb impact. Children wrapped hard boiled eggs in different materials and carried out an investigation to find out which material protected the egg the best. As they worked, children noted relevant questions that arose on post-it notes to consider later, they recognised and controlled variables, decided what observations and measurements to make, chose how to record their results and drew valid conclusions. Achoo! How far can a sneeze travel and how can we prevent others from getting ill? Through this science activity children learned more about the spread of microbes and their potential to infect people. Children measured the distance and impact of a sneeze by using water in a spray bottle. Children drew a person anywhere in the 'sneeze zone' (a 4m long roll of paper). The water was sprayed twice (to represent a sneeze) and children measured how far the water droplets travelled using a ruler from the 'sneeze zone' start line and how many people on the mat were affected by the sneeze. Children checked carefully for water marks and drew a red circle round people and areas affected. Children then compared their results, discussing the findings and their conclusions. Children decided how they wanted to present their learning. 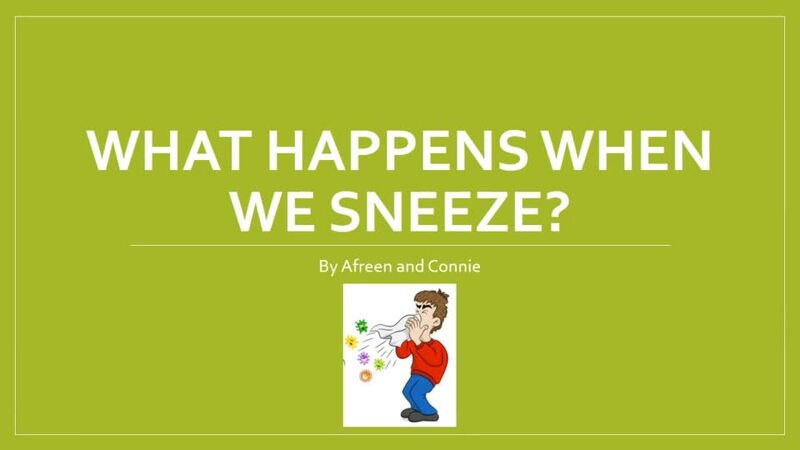 Connie and Afreen decided to prepare a powerpoint and shared this in assembly so we could all think about keeping each other healthy by stopping germs from spreading. As part of their 'ID' project, Year 6 learned about the importance of classification and gave reasons for how groups and sub groups are chosen, before designing their own classification keys. We were very shocked to arrive at school one morning to find a 'crime' had been committed! Year 6 detectives required all their skills of observation and deduction, including classifying human characteristics, e.g. finger prints, in order to support their scientific enquiry and provide enough evidence to question the suspects (the staff). CREST Science Award Club - The CREST Science Awards scheme is the British Science Association’s flagship programme for young people. It is the only nationally recognised accreditation scheme for STEM project work (science, technology, engineering and mathematics) subjects, providing science enrichment activities to inspire and engage 5-to-19-year olds and is supported by the Department of Education. The ‘SuperStar’ programme is designed for pupils from 7-11 years. Children attend for eight sessions to undertake a range of science investigation activities. The scheme provides a vast bank of resources and ideas for us to choose enjoyable science investigations for the children to complete. Each week the children have their Science SuperStar passport stamped. Once the children have completed the full eight sessions they are awarded the CREST SuperStar certificate and badge. Our first group of CREST scientists completed the following eight hours of scientific investigations: tumbling toast; fantastic fingerprints; band rollers; protecting polymers; super spinners; racing rockets; clever camouflaged creatures and windy ways. In their study of 'Flight Move', children observed the environment around them and identified suitable habitats for six UK bird species that are on the decline. Children then created adverts to appeal to these birds and to encourage them to move, before going outside to create their own nests for the lucky birds in our environment! Well done to our first group of junior scientists who have achieved their Superstars Science CREST Award.